Insulation qualifies as a "green" material because it saves energy. But cellulose insulation stands head and shoulders above other types of insulation because it’s made from old newspapers and other waste paper that would otherwise be dumped in landfills. Unlike most other types of insulation, cellulose has very little "embodied" energy. It doesn’t take much in the way of electricity for grinding machinery to transform waste paper into a fluffy, lightweight material with insulation value as high as R-3.8 per in. The insulation is then treated with a nontoxic borate solution that gives the material a Class 1 (the highest) fire safety rating, while also making it resistant to mold and insects. Cellulose is packaged in large plastic bags that are then distributed to local insulation contractors and retail distributors. While there’s no such thing as the perfect insulation for all applications, cellulose insulation has proven to be very versatile. Unfinished attics can be quickly, affordably and effectively insulated by installing loose-fill cellulose with blowing equipment. One worker feeds cellulose into a hopper and blower unit that supplies shredded cellulose through a long hose to another worker. Cellulose insulation can also be used to fill wall cavities (enclosed stud bays) that are uninsulated or inadequately insulated with fiberglass batts. This application technique calls for a 2-in.-diameter access hole to be drilled into each wall cavity, so that a small application nozzle can be inserted to inject the insulation. Access holes are plugged when the job is complete. Because higher application pressure is applied to pack wall cavities fully with insulation, this technique is sometimes called dense-pack cellulose. To insulate walls in new construction, wet spray cellulose is sprayed into open stud bays. Adding water and (in some cases) a binder compound to the dry cellulose enables the sprayed-on insulation to stick to itself and other building components. 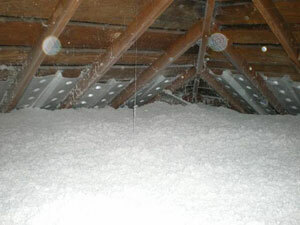 Dr. Energy Saver contractors offer Free Estimates on cellulose insulation installation for your home. 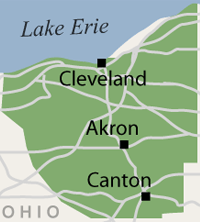 Our company is a trusted installation installer that services in and around Canton, Akron, Cleveland, Massillon, Elyria, Lorain, Strongsville, Lakewood, Chagrin Falls, Medina, Hudson, Cuyahoga Falls, Ravenna, Bedford, North Royalton, Westlake, North Olmsted, Wooster, Painesville, Alliance, Kent, North Canton, Beachwood, Barberton, Willoughby, Gates Mills, Stow, Brunswick, and more. Start Saving Energy and Money With An Cellulose Insulation. Call 1-888-370-6924 or contact us online to schedule a free home inspection and insulation estimate.